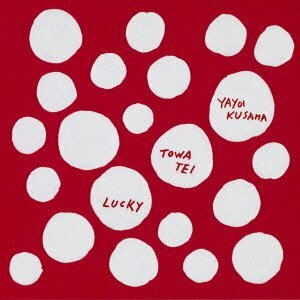 ^ alright, now having heard the full album, I say... check it out even if you don't like Towa Tei. It's definitely something fresh and fun to listen to. Ringo's song may or may not have her involvement melody wise, I'm really not sure on that one, will have to wait to get the LP to find out. However, it's pretty great, possibly my favorite Ringo related song this year... I'm not sure yet. If anything, it's the best produced song with Ringo's vocals in it for quite a long time, I hope Towa Tei works with her again, perhaps as a guest on her next "Shiina Ringo" single or album. As for the rest of the album, a lot of good, interesting and well chosen beats going on here. The tracks with vocals seem well directed pop songs and the instrumentals are really "crunchy/phat" electronic tracks, much like Tei's last album Mach 2012. Last edited by deadgrandma : 2013.07.04 at 06:57 AM. I musta know whether SR composed this or not. Anyway, Radio made me want to try the whole album. Who the hell is an apple? This song on repeat for the rest of my life and I wouldn't complain. Actually, I probably would... I don't think any song I could handle on repeat for the rest of my life. But let me enjoy my hype.